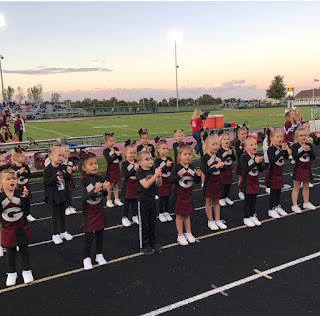 Addy's cheer season is in full swing. The girls have come so far in a few weeks! She absolutely loves it! It's so sweet! 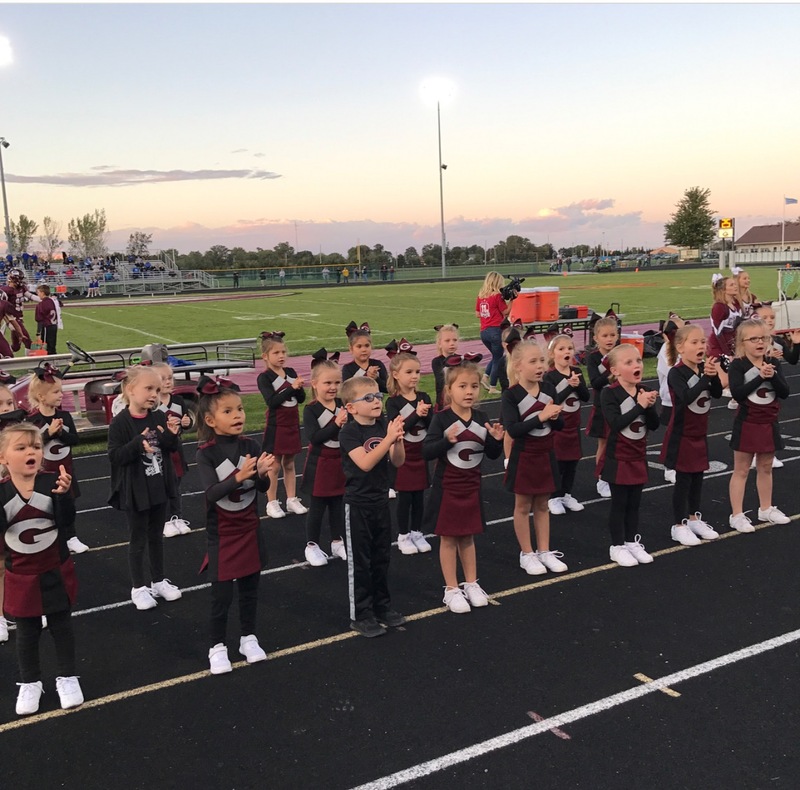 All three of the squads were invited to cheer at the football game. She only cheered for a few minutes of the first quarter. But when she walked out to the field, she was waving like she was in the Miss America pageant. Ha! She did wonderful and was bummed she couldn't stay out for longer. Addy's Field Trip to the Pumpkin Patch!